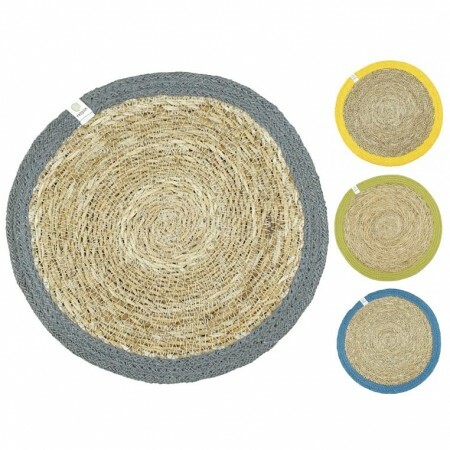 Set your table in style with a natural, eco, round table mat from ReSpiin - available in a range of colours. 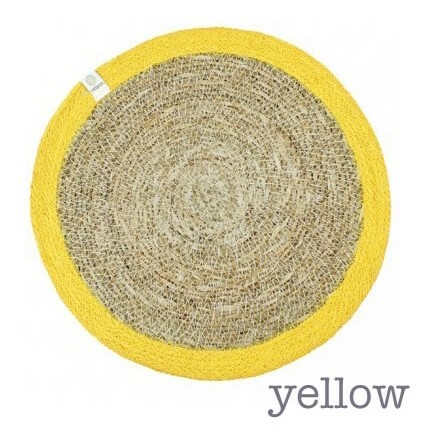 Choose from denim, light grey, yellow or green to match your kitchen or dining room. 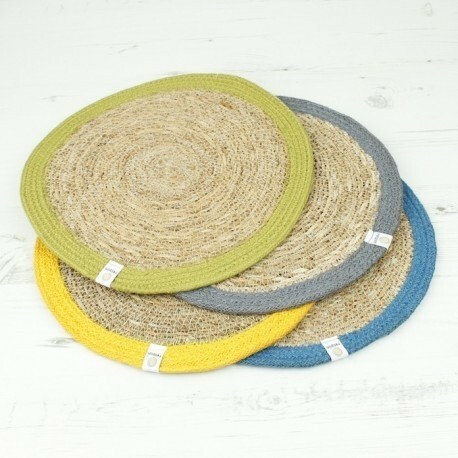 The centre of the table mat is made from natural seagrass, with dyed jute wound around the outside. This seagrass and jute place mat is wipe-clean, it will protect the surface of your dining table from warm plates and looks beautiful too. 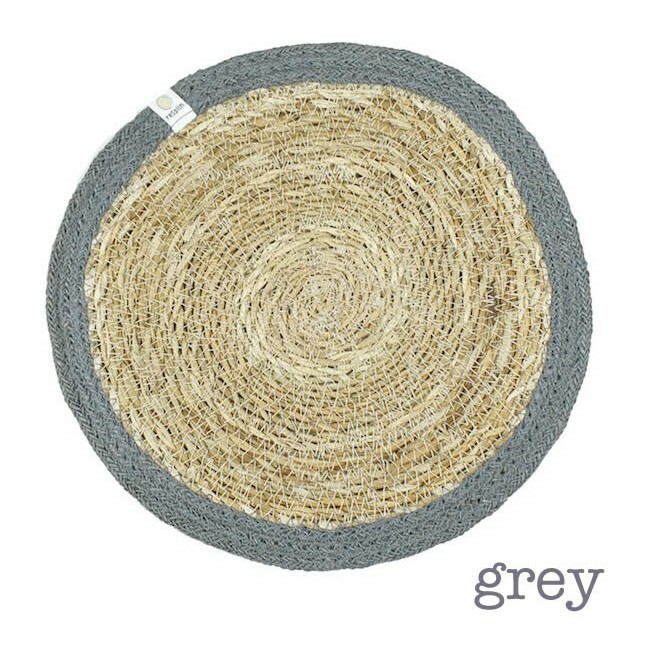 Seagrass is a highly durable and moisture-resistant material, making it ideal to use around the home. 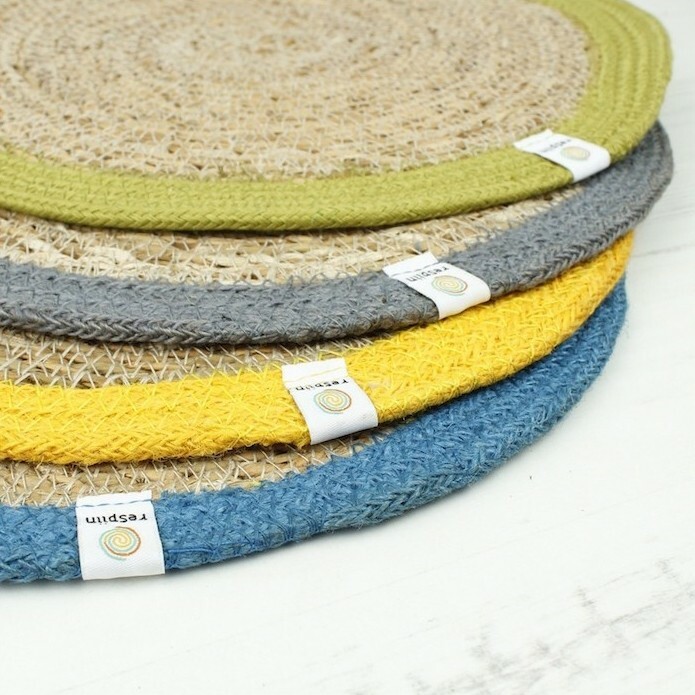 Made under a fairtrade supplier, seagrass is a renewable, biodegradable and highly sustainable natural. 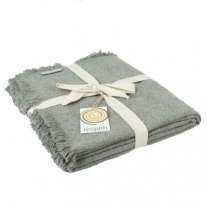 Jute is equally as sustainable, growing fast without the need for pesticides and coloured with azo-free dye. 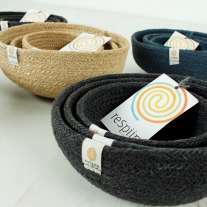 Team up with matching baskets and accessories from Respiin's sustainable and eco-friendly homeware range. 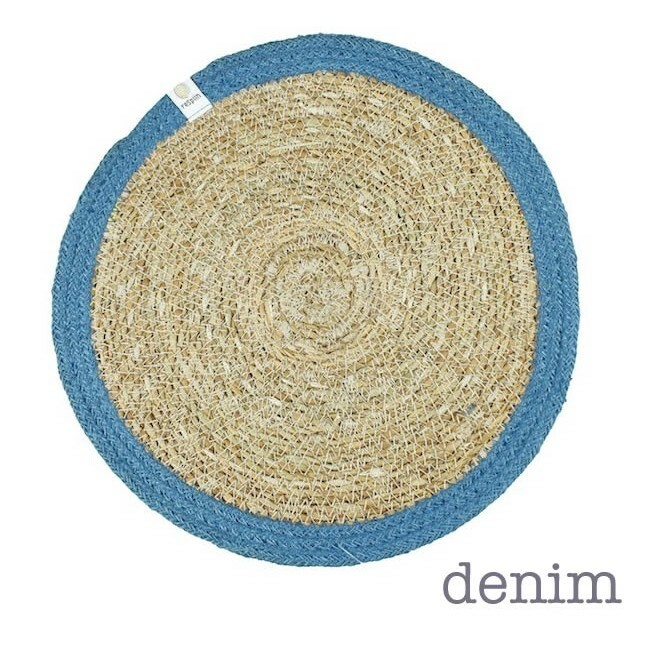 Measures 28cm in diameter. One mat included per sale.